I think you'll agree that nowadays blogging websites are fast becoming trusted mediums of sharing news, learning, as well as a respectable way of earning a living. 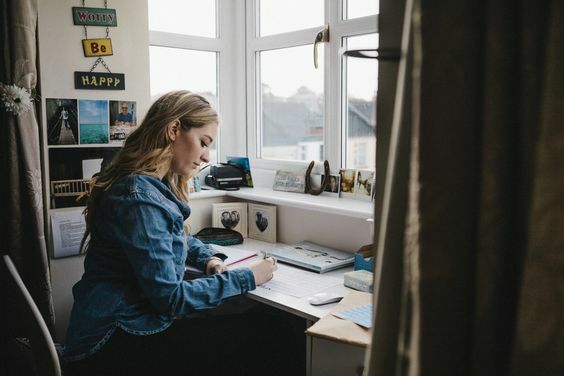 That's why more and more people are quiting the mundane 9-5 grind for blogging because blogging has finally earned the respect it rightfully deserves as a viable career option. But I think you'll also agree that having a blog is one thing, while running a "successful blog" is quite another. And a lot of us out there are definitely on the hope of running a successful blog, especially in 2018 when blogging competition is set to be quite fierce. Meaning that only the best blogs with the best branding, the best ux (user experience) , the best social media strategy, and the best content (yes content is still king!) will do. And that means there's no room for error because readers have become quite adept at deciphering mediocres from the greats! But how, you wonder, does one go about preparing for complete blogging success in 2018? What are the 5 things to get right in order to do so?! 1/5 UPDATE THE LOOK & DESIGN OF YOUR BLOG RIGHT NOW! Design is one of those things that's ever growing, ever mutating, and definitely ever changing! That's why being on top of design trends in so far as your blog's look, appearance and user experience will be one of the top things to get right in 2018 if you want to ensure blogging success because it'll stem from your readers having an amazing experience every time they visit your blog. And obviously this will then translate into your site being more professional, and therefore as a trusted source of gaining information, being entertained or learning something new! It's crazy but that's how much design matters, especially in the digitized world we're now finding ourselves living in! So give your blog look and design a bit of a revamp! And if that means updating your blog theme template, then so be it because the rewards will definitely be innumerable. Finding a new template shouldn't be a problem as there are a myriad number of templates providers out there, some free, and while others are paid-for! So no matter your budget, you should definitely find a suitable theme for you. And if this sounds like something you'd like to do to enhance your blog, I'd definitely suggest EasyBlog Themes as your go-to! They have awesome, WordPress themes and plugins ideal for both new bloggers and seasoned ones too! And as an added bonus, they are currently offering a "Big New Year's Treat" which entails offering any premium template for as low as $19.50 . But if that's too much for you, they even have a few themes for FREE if you can't afford buying a theme at the moment. For more on this head over HERE! 2/5 GET TO KNOW YOUR NICHE - YOUR TRIBE! 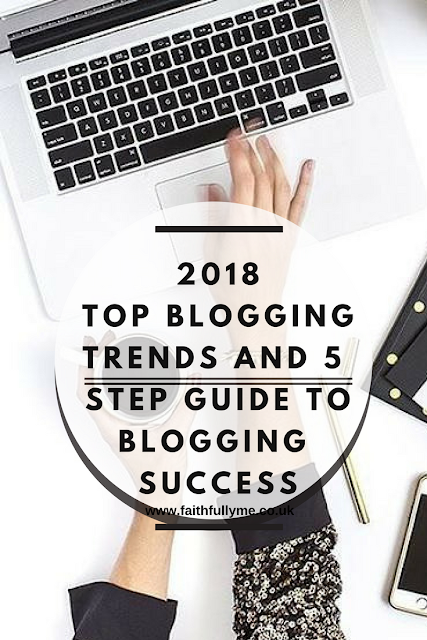 Having a specific, yes SPECIFIC set of people that your blog is focused towards is huge if you want to accelerate your blogging efforts into complete success in 2018. Because here's the thing: choosing a niche for your blog is that one move that will give your blog a focus and direction whilst also giving you - the Blog's Editor a clear anchor from which to create content from because you'll be clear on WHAT kind of content to create and WHO you're creating it for! And that's invaluable, especially when it comes to planning your content calendar for the week, month or even for the year 2018! If you want to really get to know your tribe then I seriously suggest you read "the importance of narrowing down a niche and a focus for your blog." we wrote about a while back because you'll learn how to come up with a niche for your blog, why it's important to come up with a niche, plus basic questions to ask yourself that'll help you to find your tribe! Blogger collaboration is great in all aspects! It's one of those things you can do that can end-up putting your name out there to readers you wouldn't have been able to reach otherwise. And let me tell, getting your name out there is key my friend because it's one of those crucial ingredients to complete blogging success! And blogger collaboration can take many forms - it can be you teaming up with another blogger to create a webinar on blogging tips, or it can simply be guest posting for one of your blogger friends. If you don't have blogger friends yet and you'd like to guest post, why not start guest-posting for us?! We're always on the look-out for submissions from our fellow bloggers and this can be a great way to help you on your blogger collaboration journey. For more info, check out our link HERE for submission proposals. 4/5 UP YOUR AFFILIATE MARKETING GAME! And now let's talk about blog monetization! Listen, it's all great creating content day in and day out because you love it, but there's gonna be a point where I'm sure you'd like to be rewarded for your blogging efforts - this is where affiliate marketing comes in! As a blogger I'm sure by now you're aware of great affiliate marketing programmes out there, our favorites being ShareaSale, Ratuken Affiliate, And VigLink! If you're new to blogging and don't know how to start monetizing your blog and making money with affiliate marketing, we wrote a detailed post on How To Start Making Money & Passive Income Using Affiliate Marketing programmes HERE, so do check it out! One of the most important aspects of blogging definitely has to be creating content for your readers! I mean, after all,isn't that the whole point of blogging - to create content?! Now it's one thing creating content and it's quite another when you create valuable content that just keeps your readers coming back for more! Now your content could be a variation of video, copy, and/or amazing graphics! Whatever it is you tend to create, make sure it's on point and not at all mediocre because when it's all said and done, your readers will always come back to you if they know and trust the value that your content provides! Now over to you! What is it that you're currently doing for your blog that you think will help your blog be more successful? Wow!I'm truly cheerful to have gone by this site. Concise and nicely explained blog.I found this very interesting blog. I loved reading your blog.Thank you so much for sharing this! Looking forward for more excellent post.